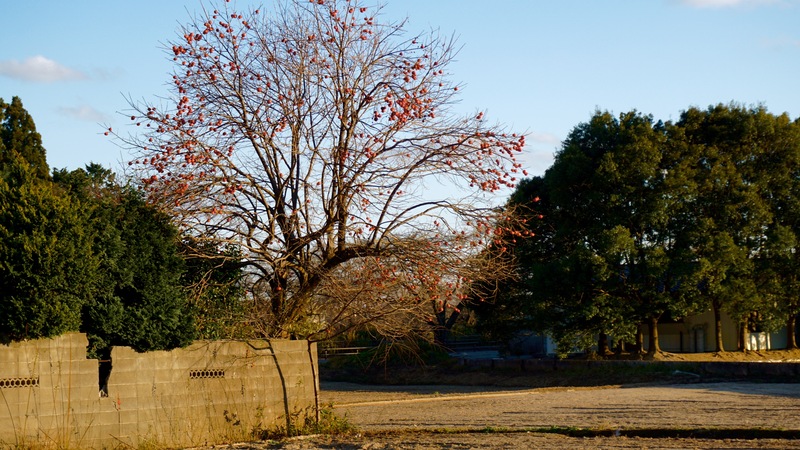 In the late fall of 2015, I took a study trip to the multiple disaster zones of northeastern Japan. The trip not only opened my eyes to the scale of the ruptures that occurred on March 11, 2011, but also to think more closely about how we learn with disaster? This question is distinct from the more common post-disaster question: “What can we learn from this disaster?” While the latter question seeks to uncover the latent lessons already understood to be implicit in post-disaster settings, the question of how we learn from disaster asks something more fundamental: What are the practices through which we begin to make sense of disaster? What is gained in the process of learning from disaster? What is lost? Namie is an ideal place to ask this question. For many visiting scholars, it has become a primary introduction to the region’s disrupted landscape. Our guide to the region is Ryuma Shineha (a contributing editor of Teach 3.11). A scholar of Science Communication, Shineha-san’s commitment to the city has transformed it into a critical space of learning. He tells us that our trip was his 30th with visiting scholars. 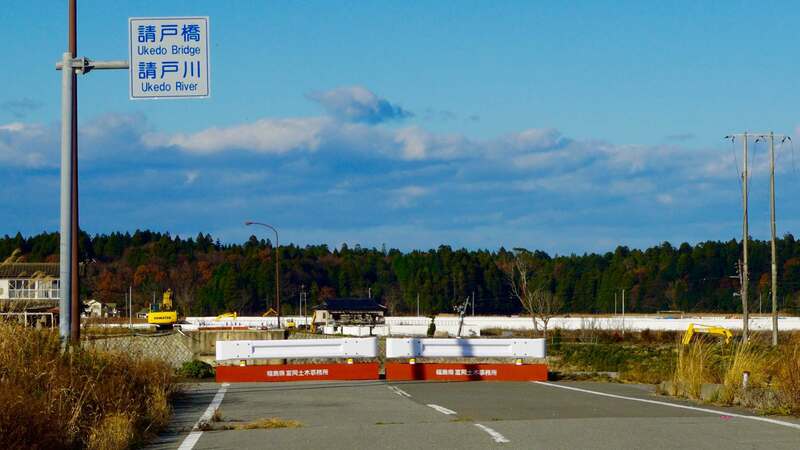 The city sits squarely within the restricted zone around the Fukushima No. 1 nuclear power plant. 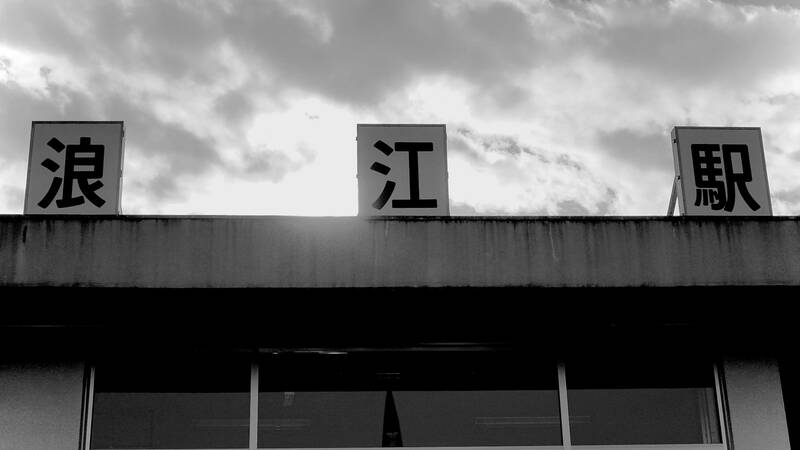 The route from Fukushima City to the coast follows an endless stream of symbols already laden with meaning—and ready to be made meaningful to a keen observer. Pink ribbons flutter in the wind, marking sites of radioactive soil remediation. Black bags marked with white numbers are piled into looming, ominous mesas. They contain irradiated soil that is awaiting removal. Creeper vines cover dusty cars. These are the semiotic markers of disaster, aftermath and recovery. They make “Fukushima” visible. These symbols become ever more densely layered as we near the evacuation zone. Checkpoints give way to abandoned businesses, which give way to rubble, which give way to construction equipment, which give way to ripe persimmon trees, which give way to abandoned homes, which give way to a field cleared of everything but concrete and tile foundations, which gives way to a seawall under construction, which gives way, finally, to the source of the tsunami, the sea itself. This is my first time here, my first time in Japan. From the back of the car I struggle to make sense of what I am seeing. I try to capture everything I see and think and feel. I take photos, some carefully framed, some frantic and out of focus. I scribble notes in a small notebook and repeat keywords to no one in particular: residue, apologies, excess, negative dialectic. All of this is an attempt to categorize, label, and organize the scattered and unfamiliar landscape around me. I want to make sure the things in front of me are not lost, that their meanings are transportable back to others. I want to understand and to explain what has happened here, what is still happening. I do so by telling myself little stories. I see a tree full of ripe persimmons. I tell myself that no one will come to eat them because they are irradiated. At an abandoned train station a sign reads, “Namie: a safe and livable city.” I see an abandoned liquor store; the bottles outside are still full. Across the way from the train station there is a store advertising party rentals. There are no birds anywhere. I am suddenly aware that for everything I am able to see, there are many more things that I cannot see. Both the visible and invisible presences in this place are linked to each other in an invisible set of relations. Everything is full with its own absences. The obsessiveness, the frantic-ness of my efforts to capture and organize the things I am seeing and hearing feel very much like “tending a forest…with manicure scissors” (Fortun 2012: 460 en6). Yet, this is how I begin to make sense of this alien landscape. By telling myself stories I unearth questions. Yet, as I tell stories, I must edit, I must sacrifice something of the totality in the scene in order to stand a chance of making any sense of it all. As a newcomer, however, narrating in any sensible way eludes me. My frantic efforts to take in everything impede my ability to ask sensible questions or to make sense of any particular thing I am seeing. So, instead I try to sit back and open my aperture wide. I try to be aware and sensitive to the alive, meaning-fullness of everything around me. In short, I engage in two approaches toward making sense of this experience. One approach is narrow and focused, a dogged effort to translate this strange place into something known and narratable. The other is raw and open to the irreducibility of the landscape itself. It is the contrast between these two approaches that sticks with me. Efforts to organize, to narrate, to focus, to specify, and to know enable us to excavate the disaster and organize it, transforming something disordered into something ordered. By doing so it seems we might unlock a set of lessons useful for mitigating or even preventing future catastrophes. That work remakes the disaster itself, transforming it in specific ways for specific purposes. Indeed, the stakes of disasters are too important not to ask such questions. There is an ethical call to engage. Because disasters overrun themselves, we must narrow our gaze to try to understand some corner to get a sense of the whole. To make sense of a ruptured landscape, hierarchies of information are produced. These are based on value-laden judgments, some of which are disciplinarily defined—for engineers, technical systems; for anthropologists, communities; for architects, buildings; for ornithologists, birds. This targeted practice of expert engagement is particularly necessary for research which seeks to move things in the world. To articulate everything that happened here overwhelms our representational capacity and limits our ability to make the landscape something new again, to rebuild lives, and to make the uninhabitable habitable again. So, instead, we begin by combing a small corner, gathering interviews, mapping landscape changes, collecting soil samples, documenting radiation levels, or tracking bird population numbers. Yet, here is also a paradox: the closer we get to understanding, the more we recognize the surplus inherent in disaster. The excess of things, of lives disrupted, reminds us that focusing on birds or soil or interviews or radiation levels only makes us more aware of all that cannot be brought into the frame. This is an effort to earnestly consider the boundaries of our capabilities for learning, knowing, and thinking with disaster. The cost of expertise—deep and careful understanding of a particular set of questions—is a narrowing. We can know about the numbers of birds lost from the region, but it is less easy to capture the meaning of a landscape not echoing with their songs. This inability to encompass that totality should not dissuade our engagements, but rather must always frame them. Indeed it is the tension between what we can know, how we come to know, and what we cannot know that is precisely what drives expert projects forward. Yet, the proliferation of debris and dislocation also matters in its own right. In contrast to the expert mode of knowledge production, allowing lives and things disrupted and displaced to stand open and speak for themselves is another way of learning with Namie—one that is no less legitimate or important. With only one more hour of time permitted in the restricted zone, Shineha-san leads us about one hundred meters from the water’s edge. From here we can see the waves breaking above a row of laborers who are building a new seawall, ostensibly to stave off future disaster. The five of us huddle from the chilly sea breeze. The sky is clear and the early winter air is cold. From this corner we can see the vast area of homes destroyed by the wave. A few stubborn structures remain, battered, but still standing, punctuating the negative space like jagged teeth. Indeed, just to our left there is a massive waste incinerator churning out a cloud of white smoke. Further back, just at the edge of a vast, erased neighborhood, a wall encloses a high mound of rubble. Cranes and backhoes work in a lively dance, moving debris back and forth. These things, these physical pieces of people’s lives, will soon disappear. As they do, they will indicate that recovery is taking place. However, with the disappearance of this profusion of displaced matter both questions and answers also disappear. The debris has already been labeled as excess—piles, jumbled and mixed, never to be sorted. When Shineha-san takes the next group of experts through here the story will change once again. Something more will be understood, but many more things will be lost. Click here to see a gallery of photos from this field trip.